Each country has a retailer that is the biggest and best, and when comparing the biggest retail chains, the Global Powers of Retailing report reigns supreme. The report, compiled by Deloitte Touche Tohmatsu and STORES Magazine, lists the retailers who are leading the way for the retail industry. The Global Powers of Retailing report ranks global retailers according to total revenue. The 2018 report reflects the revenue that was generated in the fiscal year 2016. 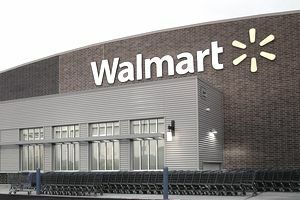 Wal-Mart is still, by far, the largest retailer in the world, with a couple of the United States' other retailers coming in second and third, Costco and Kroger, respectively. The U.S. has the most retailers -- 80 -- on the list of the top 250 retailers in the world. Japan ranks second with 32 countries. What follows is the list of the largest retail company in 29 countries, according to the fiscal year 2016 revenue. The list below is arranged alphabetically by country, not according to sales or revenue. The list also includes their industry and operational format.